Finch playing by the rules? Yeah, that’s over. 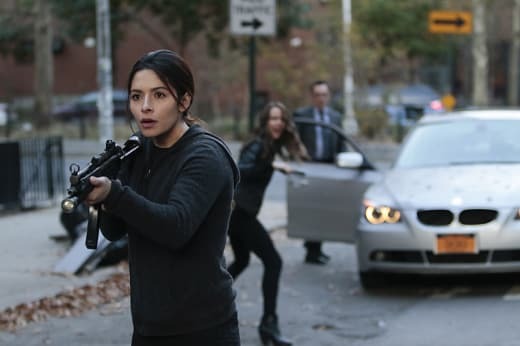 Person of Interest Season 5 Episode 10 was a definite game-changer for the bespectacled father of the Machine, but his turn toward saying “enough is enough” came with major costs. In heartbreaking fashion, both Root and Elias were killed trying to protect him. The 100th episode was certainly action-packed from the various gun battles to the car chase with an even bigger gun. 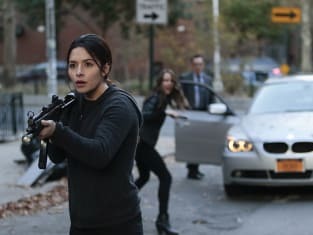 Getting to see Fusco and Reese team up or Root and Shaw working together in the firefight was exciting. And that explosion after Root managed to deliver a perfect shot while steering with her shoes? Fantastic. 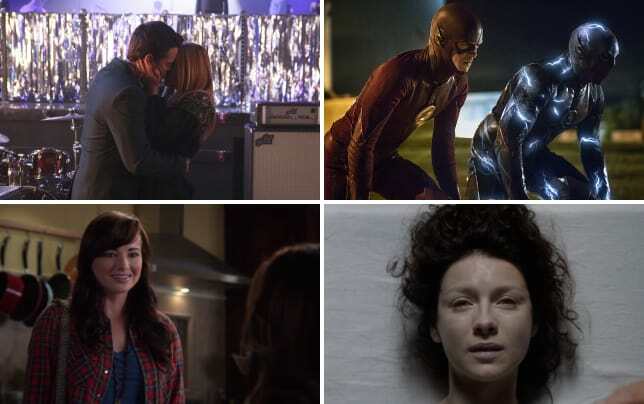 But it was the emotional character moments that really struck things home for the hour. To see Elias go down as a hero to the POI team was a huge moment for his character. He knew he was putting his life on the line, and yet, he was willing to do it for his friend. The former bad guy turned ally was able to make his last stand doing something he believed in. Yet, it was Root’s death that hit the hardest. I was hoping that Fusco going to check on her at the hospital would mean she had managed to survive, but all the monologuing during the hour about living on through the Machine and finally feeling like she was doing something that mattered had me suspecting her time was up. And just seeing Fusco’s grim expression while looking at her body or Reese not having to say anything or Shaw for a brief moment reacting and then burying her feelings down made it all more of a gut-punch. It’s sad, too, considering she finally was able to reunite with Shaw. But even with her flirtation and affections for Shaw, Root has always been rather devoted to the Machine. So it’s fitting that the “spirit of the Machine” would wind up being the artificial intelligence’s voice. Root manages to live on. And what a bittersweet moment when Finch answered the phone to hear the Machine speak using Root's voice. Does that mean that we heard the Machine speaking at the start of Person of Interest Season 5 Episode 1? I just wonder what it means going forward now that Finch has gotten in touch with his dark side and the Machine has been unleashed. Does this mean there’s a better possibility that Samaritan will be defeated? I’ve got a feeling Root and Elias won’t be the last tragic deaths we get as we near the end of the series. “The Day the World Went Away” was a riveting, engaging and emotional hour of Person of Interest Season 5. I can only imagine how the final three episodes are going to play out. What did you think? Were you shocked by the deaths? What's next for Finch? Sound off below, and watch Person of Interest online now! NOTE: Person of Interest Season 5 Episode 11, "Synecdoche," airs June 7 at 10 p.m.